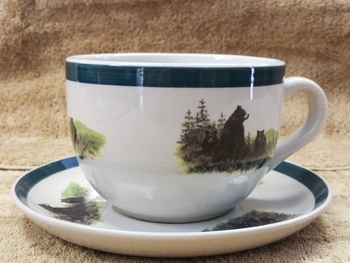 This Soup cup and saucer (2pc set) features a natural glaze stoneware with dark green hand painted rim. Each set includes a 22oz. deep cup with saucer. Original Artwork of the Bear and Cubs is by Dann Jacobus.